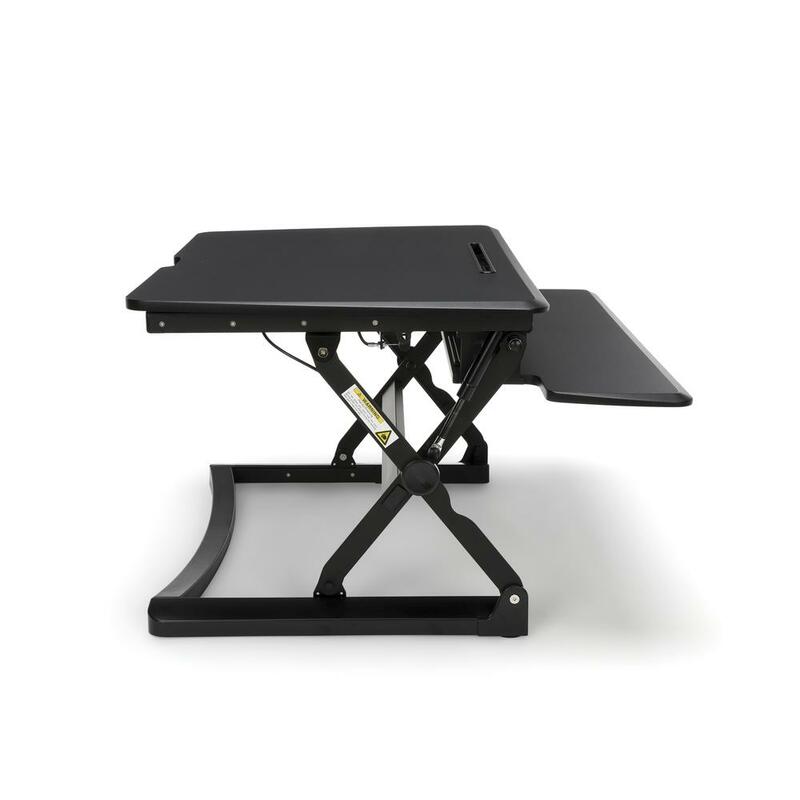 The 5100 joins the growing sit-to-stand workplace revolution! 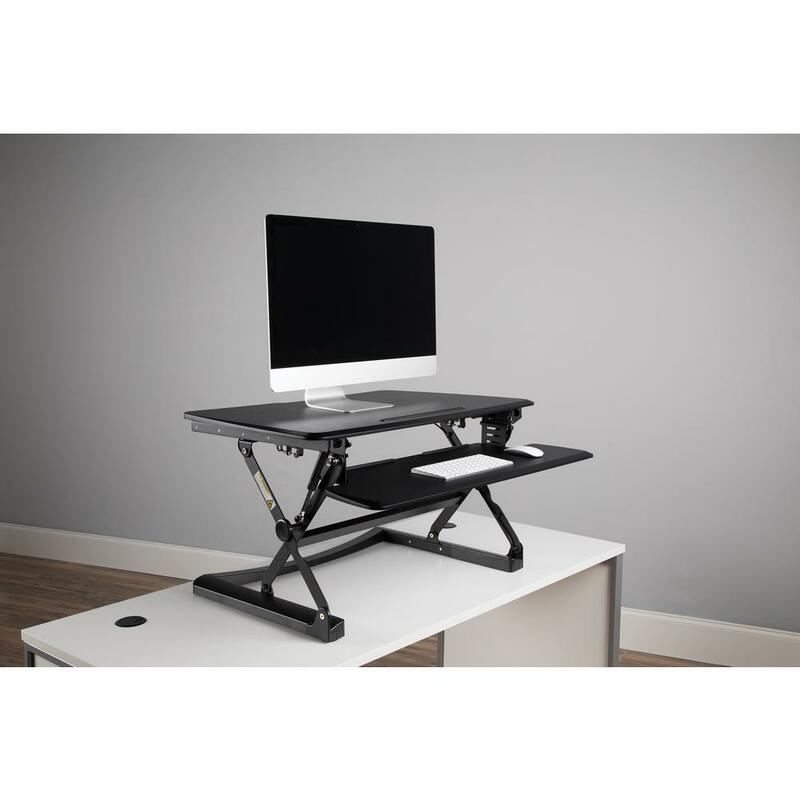 Convert your existing work desk or table with this sturdy, versatile rising platform and cash in on all the ergonomic and physical benefits of a standing workstation. 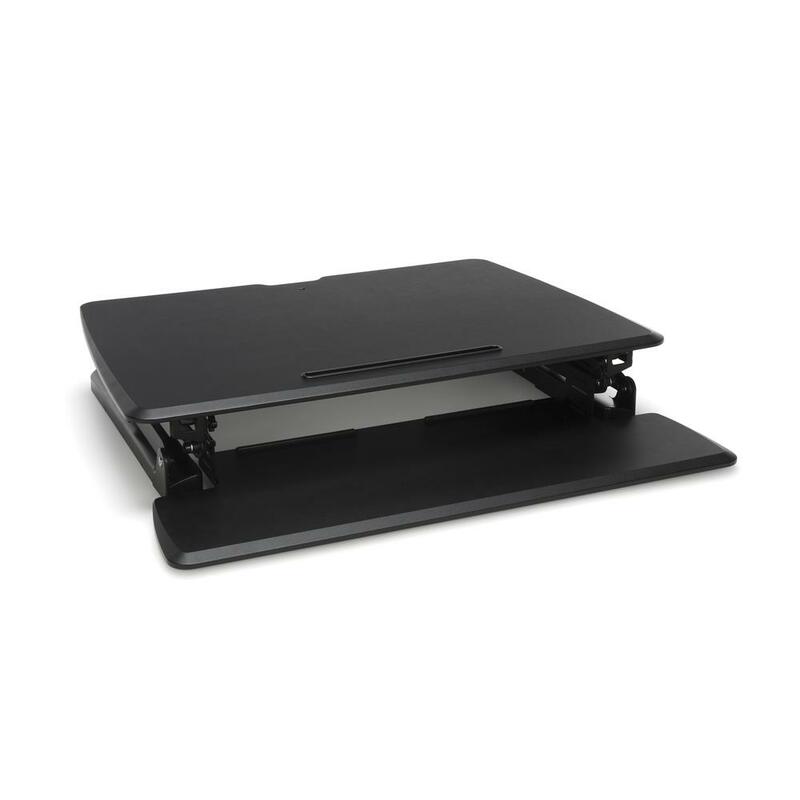 The integrated keyboard tray allows you to type comfortably, and the slot holds your tablet or smartphone securely and at just the right angle. 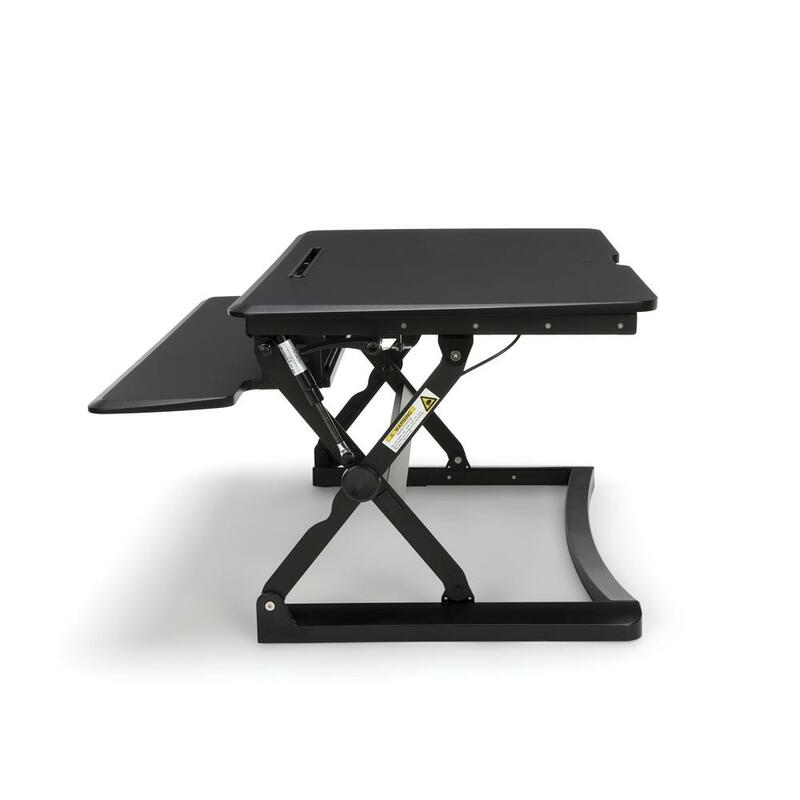 15 different height adjustments and a smooth gas spring mechanism provide a customized work surface and offer a wider height range to accommodate all body types. The converter is 5.9" when fully collapsed, and rises to a total height of 19.7" - all along the same gravity center line so you don't have to make any further adjustments. An easy to use one-hand paddle mechanism ensures you'll never inadvertently injure a hand or finger while changing heights. 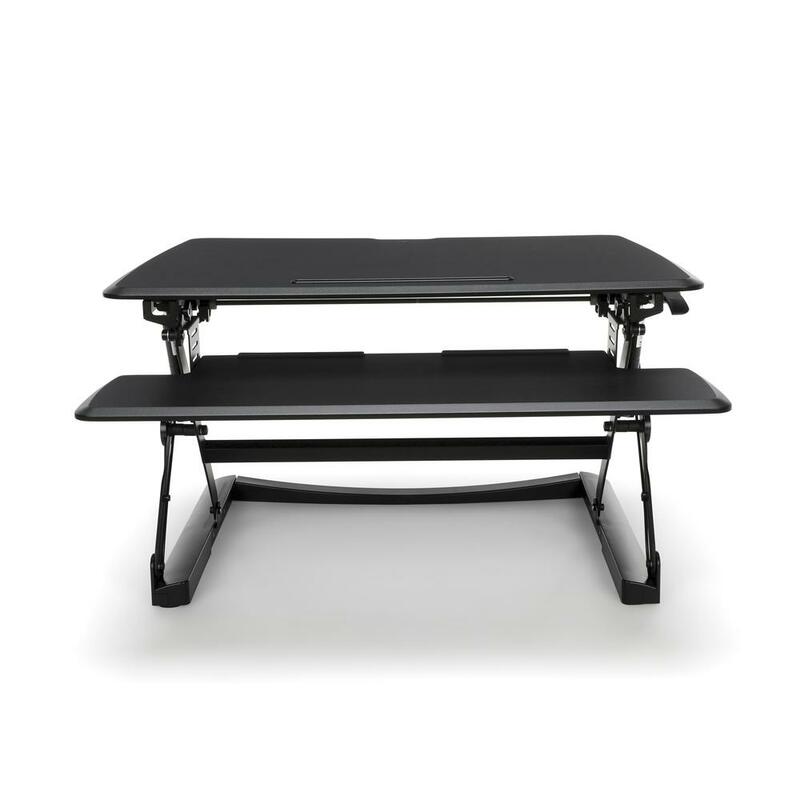 And the 5100 features aren't limited to mechanics - it's also sports a clean and modern look, ample 23" x 35" top, stable frame, and a beveled edge that adds sophistication. 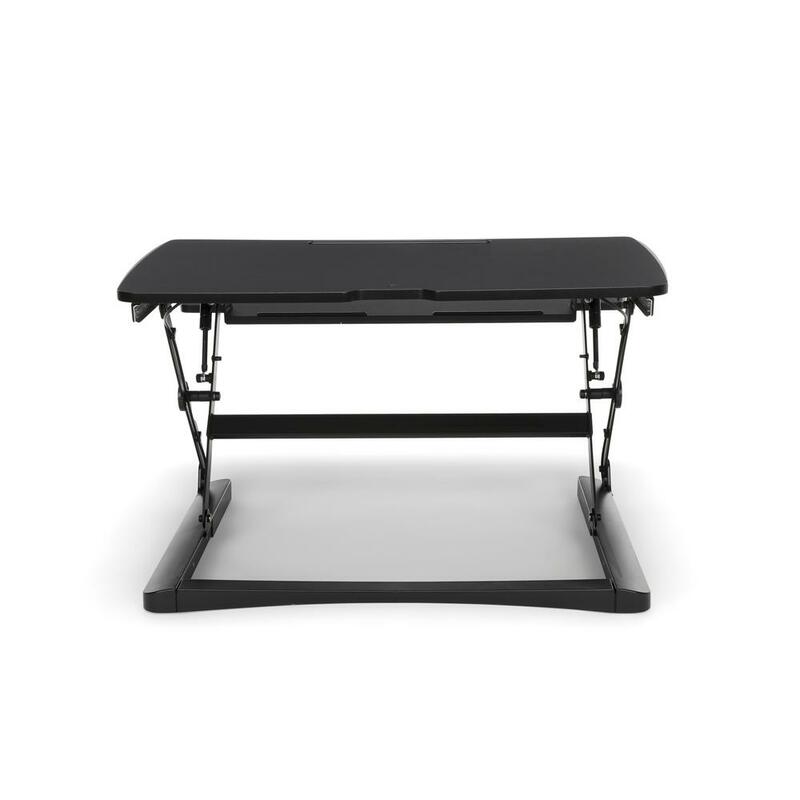 The 5100 holds up to 35 pounds. 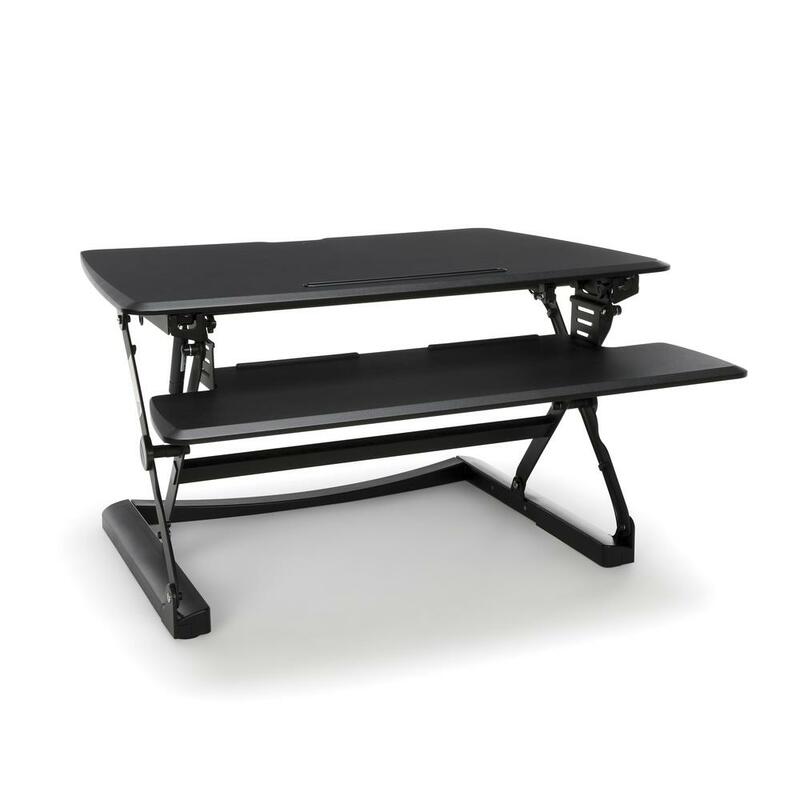 This model meets or exceeds industry standards for safety and durability, and is backed by our Limited Lifetime warranty.